When I think of holidays I think of a big meal with turkey and ham and the fixings! If your holiday dinners sound like mine, then let me recommend Allen Brothers and their delicious Mangalitsa Smoked Holiday Ham! 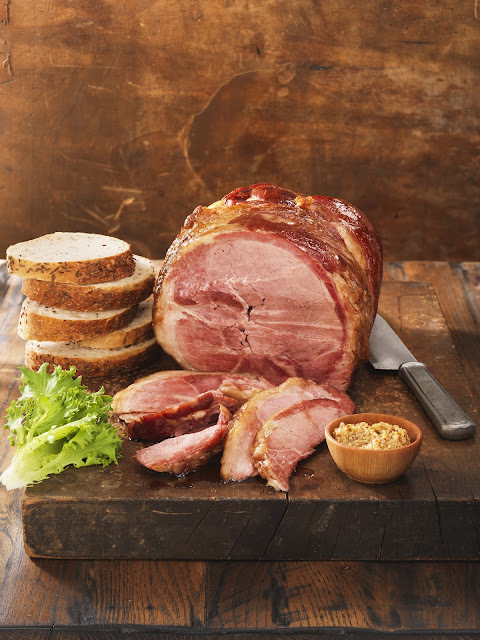 Allen Brothers’ Mangalitsa Holiday Ham is an easy-to-slice, lightly-smoked, whole boneless ham crafted to reveal delicate, yet decadent, old world flavors. It’s designed to be just heated and served, or you can add your own glaze for a more elegant presentation. Often compared to Japanese Kobe, Mangalitsa hams have a ring of flavorful fat that fully encases the tender meat, amplifying the full flavor and rich mouthfeel, promising an intense and mouthwatering flavor with every bite. Another super delicious product from Allen Brothers is their Hickory Smoked Bacon from Mangalitsa by Møsefund, the nation’s largest producer of 100% Pure Bred American Mangalitsa. According to The Wall Street Journal, Mangalitsa bacon is “The 'It' Bacon from the 'It' Pig”. 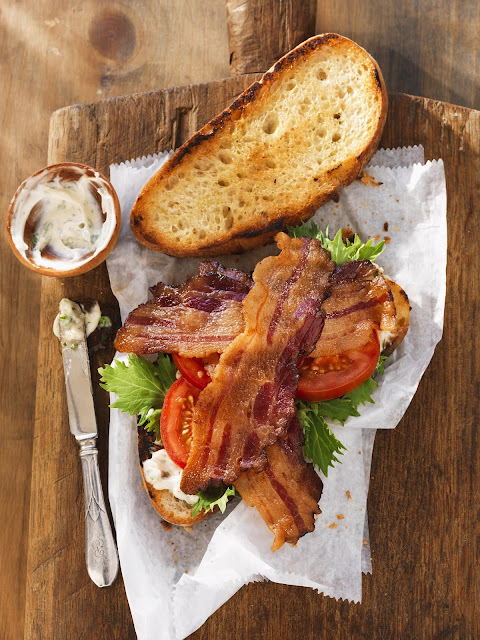 Deep and sweet- tasting with gentle, hickory- smoked flavor and luxurious ribbons of silky white fat, Allen Brothers’ Mangalitsa bacon is rich in delicious “good” monounsaturated fat and high in Omega fatty acids. Let me tell you from experience, this bacon is delicious and works great with eggs, BLT's, or any meal you want bacon with (or just plain!! ).